The pupil of an eye widens when it looks though dark-tinted glass and due to this the eye gets more sunlight than it does without sunglasses. So why do we wear sunglasses? We posed this question to Dr. Mike Cox, Senior Lecturer in Clinical Vision Science, University of Bradford... Mike - We need to think about the light reaching your retina. To get there, it has to travel both through the sunglass lens and through your eye's pupil. In a 20-year-old person, on a bright day, the pupil diameter will be around 3 mm. With a dark pair of sunglasses on, this will make the pupil dilate to a diameter of around 4.5 mm. That means roughly, 2.5 times more of the light reaching the outside of your eye can reach the retina by travelling through your pupil. But don't forget, due to the sunglass lens, only around a tenth as much light is able to reach the outside of your eye and travel through the pupil in the first place. The total amount of light reaching the retina is reduced by a factor of around 4. So sunglasses really do work, even though your pupil will dilate if you wear them. Thinking about eye safety with your sunglasses, too much invisible ultraviolet light can harm the retina inside your eye. If a sunglass lens doesn't absorb ultraviolet light, but those absorb visible light then with the sunglasses on, the pupil dilates and the ultraviolet light can still travel through the lens, reach the outside of your eye, and head through the pupil. As the pupil is bigger, more of this ultraviolet light reaches the retina inside your eye and then over a long time, this could harm your eye. Fortunately, if you buy sunglasses in Europe, they should have the letters C and E marked on them. If you see the CE mark then the sunglasses will give you the proper protection against ultraviolet light. If you don't see the CE mark, don't buy or use the sunglasses. Diana - So the pupil will dilate to allow in more light, but not enough to counteract the effect of the sunglasses. 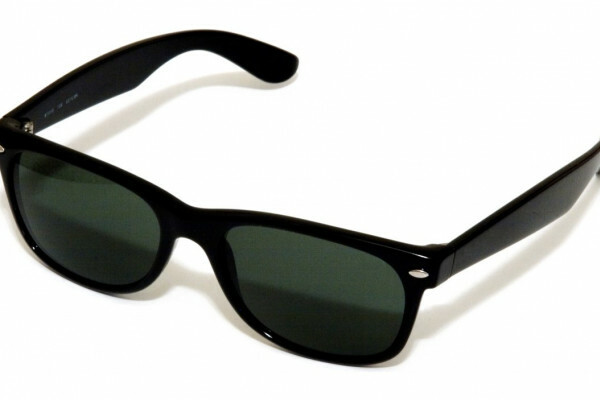 Further, a good quality pair of sunglasses will filter out UV light which is a really damaging stuff. And top marks to Geeza and Diver John on the forum who said pretty much that. Previous What are the different stages of Cancer? Next Is it possible to alter genes on an orgamism-wide scale?